What Is a QM, and How Will It Affect Your Ability To Buy a Home? New mortgage rules help to protect the real estate market, but do they limit buyers in their home purchases? A lot of changes have taken place in the real estate industry over the past few years. Many of the practices that helped trigger the so-called “Great Recession” more than a half decade ago have been analyzed and done away with; either by law, or by the lenders themselves. New laws protecting homeowners went into effect at the beginning of 2013. These laws included The California Homeowner Bill of Rights, which granted protection for homeowners from unscrupulous lending practices such as dual tracking and verification of loan documents (AKA: No more “robosigning”). This year, new rules have been put into place to insure lenders will grant mortgage loans only to buyers who are truly qualified to obtain them. 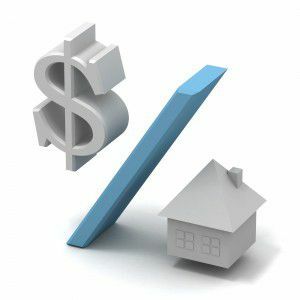 Known as “QM” (Qualified Mortgages), these rules set in motion by the Consumer Finance Protection Bureau were put in place to protect consumers from obtaining loans they cannot afford. What sort of changes will QM bring? In some cases, buyers may not notice any difference in the types of loans they may obtain. While QM officially does away with interest only loans, no documentation loans, no income verification loans, 40 year mortgages, option loans and negative amortization loans, many lenders have already stopped offering them prior to the the January 18th, 2014 implementation. A positive aspect of QM is that it limits loan fees to 3 percent, eliminating high costs and “filler” fees. This means that buyers may pay less up front in order to close their home loan. However, when it comes to qualifying for a mortgage, buyers will encounter more stringent practices on behalf of their lender. A buyer’s debt-to-income level cannot exceed 43 percent of their income. Self-employed buyers may have a harder time obtaining a mortgage as well, as new guidelines for income verification are now in effect. Is QM all that’s available to buyers now? Buyers who are concerned about qualifying for a mortgage under QM should know that lenders may still offer non-QM mortgages. However they must be able to prove that the loan was granted to a qualified recipient. I still have questions about these new rules? Will I qualify for a home mortgage? It’s understandable that the new QM rules may cause some questions and concerns. Remember, we are here to help you get into the home of your dreams the best way we can. Contact Montemayor & Associates to find out if you qualify for a home mortgage.